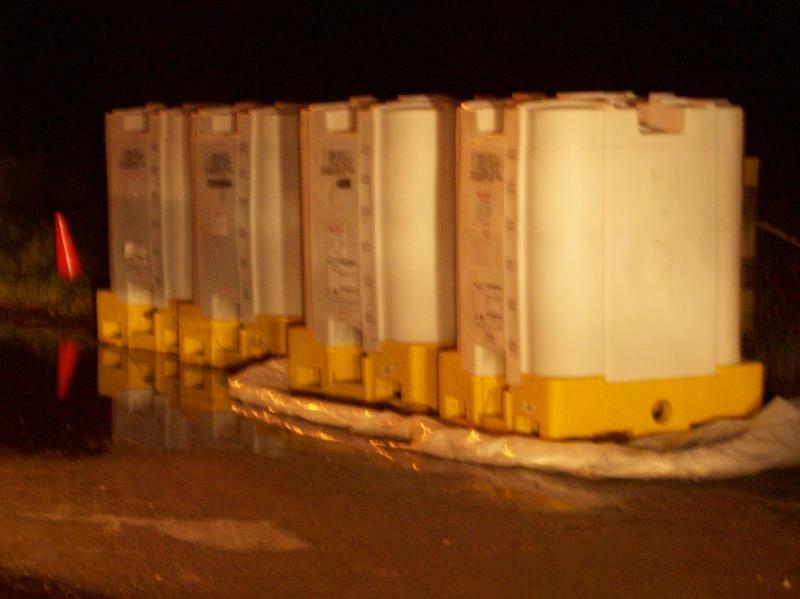 Is BP's Gulf Oil Radioactive? But at least there's no radiation being released from BP's oil spill in the Gulf, right? It’s time BP comes clean as to the levels and amounts of radioactive material released from this oil spill. Here's the EPA website which Smith is quoting. What scientists call naturally occurring radioactive materials—known by the acronym NORM—are common in oil and gas drilling waste, and especially in brine, the dirty water that has been soaking in the shale for centuries. Radium, a potent carcinogen, is among the most dangerous of these metals because it gives off radon gas, accumulates in plants and vegetables and takes 1,600 years to decay. Environmentalists argue that we can achieve energy independence by cutting demand and ramping up renewables. They add that the thousands of gallons of mud deepwater drilling unearths contain toxic metals—mercury, lead, and cadmium—that may end up in the seafood supply. The water that comes up from wells contains a toxic mix of benzene, arsenic, lead, and various radioactive pollutants, according to studies by the Natural Resources Defense Council. This is not to say that radiation is being released from the well at dangerous levels for the general public. Obviously, BP and the government should be pressed to release all radiation test results (or to do them if they haven't already). I haven't heard any information indicating dangerous levels, and I'll assume for now that radiation levels in the Gulf as a whole are low and not much more than background levels. This is all bad enough at the spill and cleanup sites, and it’s not nearly the near-term danger of all the toxins in the oil-dispersant stew. But it can become a danger when you start concentrating it in normal landfills. Remember, oil was exempted from hazmat regulations for political reasons, not because it’s not hazardous. 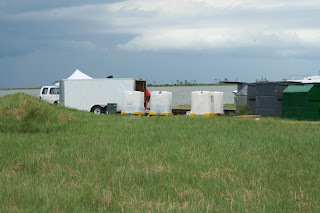 And, as far as we can tell, nobody is even testing the BP waste going into those landfills and if the oil company knows radiation levels, we can expect them to keep it secret. Hey, this is the company that required a Congressional order and a Federal Court Subpoena just to release video of the spill … we have no way of knowing what else they’re not telling us. And it’s not comforting that the EPA, which allowed BP to use toxic dispersant to hide the oil and is now minimizing what’s left through bogus science, and the Coast Guard, which allowed dispersant use even in excess of what the EPA approved, are in charge of all this. And the EPA knows better, of course. 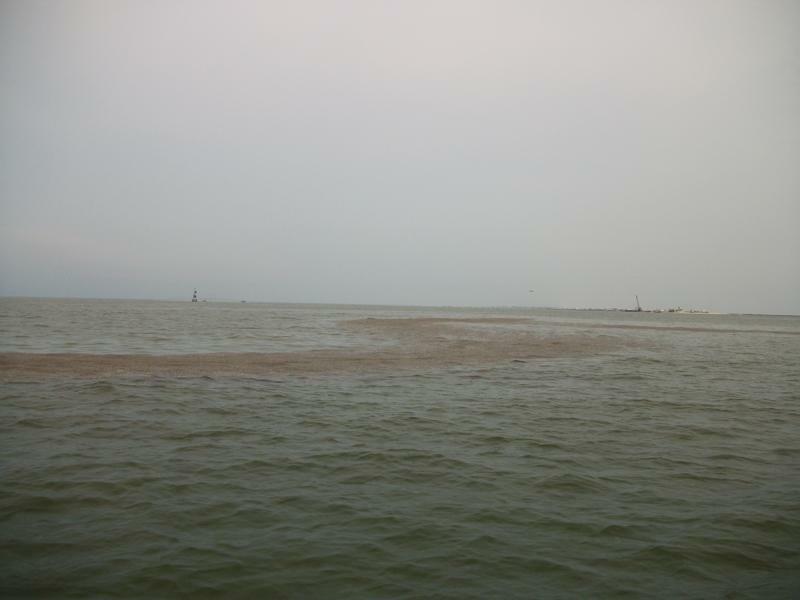 Lumpy, degraded oil collected in the Mississippi Sound has tested positive for several of the main ingredients in the Corexit dispersant used in connection with the Deepwater Horizon oil spill, according to scientists working for a New Orleans-based lawyer. 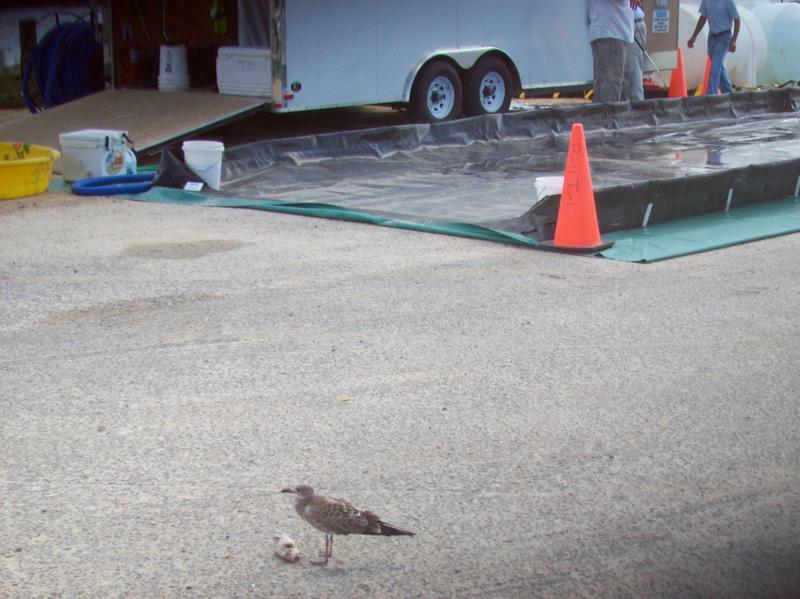 Officials with the federal government and BP PLC have maintained throughout the oil spill that no dispersant products have been used near shorelines in Alabama or Mississippi. Marco Kaltofen, part of the group of scientists who found the oil in Mississippi Sound, said it was impossible to determine when the dispersant had been applied to the oil. Results from the tests, which were conducted in a Colorado laboratory, indicated the oil was from the Deepwater Horizon well, he said. Smith, the lawyer who funded Kaltofen’s sampling expedition, discounted the notion that dispersants had not been used near shore. Other tests are coming back positive for dispersant as well. Recreational fisherman Mark Fuqua, 47, of Pensacola, who has fished the waters from Destin to Pensacola most of his life, discovered just how big the mess is on the first day he struck out to drop a line in the water since the fishing ban was lifted two weeks ago. After a day of fishing in several areas of the bay on Wednesday, his boat, anchor and cast net were covered in oil. "I've never seen anything like it," he said. "I was fishing in front of Palafox Pier and pulled up my anchor, and it looked like it had black mud on it. I reached down to try to wipe it off and it was all greasy, like greasy sand." The anchor was dropped in 20 feet of water. [Scott Piggott, who heads the Escambia and Santa Rosa cleanup operation for BP] said the reports from fishermen about finding oil often are not reliable. "I've heard accounts of people who hold up their anchors that have this black stuff on it," he said. "I can't tell you how many times we've gotten reports from fishermen with sightings of sheen and oil. Ninety-nine percent of the time, these reports turn out to be organic material." Fuqua said Piggott's statement "sounds typical." "BP is really counting on that out-of-sight, out-of-mind thing. It's there and they know it," he said. "They need to be exposed and made to do something about it." Sure, and the oil plumes and dispersant which experienced scientists think they are finding in the Gulf are really just kelp, and the dead animals which people see are really just sleeping, and the rashes and breathing problems coastal residents exposed to the dispersant are suffering are really just allergies. A debate is being played out in the Fed about whether it should return to so-called "quantitative easing" -- buying more mortgage-backed securities, Treasury bills, and other bonds -- in order to lower the cost of capital still further. The sad reality is that cheaper money won't work. Individuals aren't borrowing because they're still under a huge debt load. And as their homes drop in value and their jobs and wages continue to disappear, they're not in a position to borrow. Small businesses aren't borrowing because they have no reason to expand. Retail business is down, construction is down, even manufacturing suppliers are losing ground. That leaves large corporations. They'll be happy to borrow more at even lower rates than now -- even though they're already sitting on mountains of money. But this big-business borrowing won't create new jobs. To the contrary, large corporations have been investing their cash to pare back their payrolls. They've been buying new factories and facilities abroad (China, Brazil, India), and new labor-replacing software at home. If Bernanke and company make it even cheaper to borrow, they'll be unleashing a third corporate strategy for creating more profits but fewer jobs -- mergers and acquisitions. Keynes implemented his policies in an era of much less debt than we have today. We're now bankrupt, with debt levels so high that they are dragging down the economy. Even if Keynesian stimulus could help in our climate of all-pervading debt, Washington has already shot America's wad in propping up the big banks and other oligarchs. Today, however, Bernanke, Summers, Dodd, Frank and the rest of the boys haven't fixed any of the major structural defects in the economy. So even if Keynesianism were the answer, it cannot work without the implementation of structural reforms to the financial system. Quantitative easing can't patch a financial system with giant holes in it. What's needed has been obvious to independent observers for years: Break up the big banks, prosecute the criminals whose fraud caused the financial crisis, and restore the rule of law and transparency. Until those basic steps are taken, nothing else will work to fix our broken economy. In February 2009, the head of U.S. intelligence - Dennis Blair - said that the global financial crisis was the largest threat to America's national security. All of America's intelligence agencies apparently agreed. Veteran chemist Bob Naman says that Corexit is still being sprayed in the Gulf, and that he found 13.3 parts per million in Cotton Bayou, Alabama. Parts per million might not sound like much. But the EPA has found that exposure to 42 parts per million killed 50% of mysid shrimp within 4 days (and most of the remaining shrimp didn't last much longer). The City's test results have now come back, showing 66 parts per million of dispersant. The City Engineer for Orange Beach - Kit Alexander - also states that the EPA sets the screening level for dispersant at 750 parts per million (see above video). In other words, the EPA doesn't even test for Corexit at concentrations of less than 750 ppm, even though Corexit at much lower concentrations kills marine life. I have personally been copied with emails sent to the Coast Guard documenting continued spraying of Corexit. 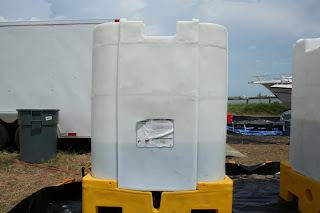 During the August 25 Dockside Chat in Jean Lafitte, LA, it came to our attention that the federal agencies were unaware -- or lacking proof -- of the continued spraying of dispersants from Louisiana to Florida. Further, the federal agencies were woefully ignorant of the presence of subsurface oil-dispersant plumes and sunken oil on ocean and estuary water bottoms. We offer evidence to support our statements, including a recently declassified subsurface assessment plan from the Incident Command Post. But first, you mentioned that such activities (continued spraying of dispersants and sinking oil) -- if proven -- would be "illegal." 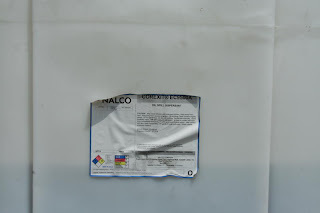 As you stated, sinking agents are not allowed in oil spill response under the National Contingency Plan Subpart J §300.910 (e): "Sinking agents shall not be authorized for application to oil discharges." We would like to know under what laws (not regulations) such activities are illegal and what federal agency or entity has the authority to hold BP accountable, if indeed, such activity is illegal. It is not clear that the EPA has this authority. 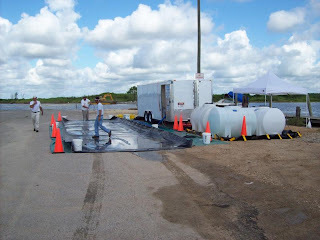 For example, on May 19, the EPA told BP that it had 24 hours to choose a less toxic form of chemical dispersants and must apply the new form of dispersants within 72 hours of submitting the list of alternatives. Spraying of the Corexit dispersants continued unabated. 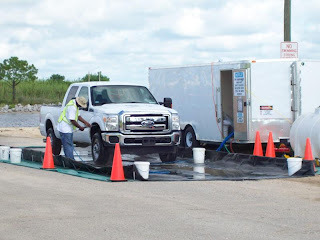 On May 26, the EPA and Coast Guard told BP to eliminate the use of surface dispersants except in rare cases where there may have to be an exemption and to reduce use of dispersants by 75 percent. Yet in a letter dated July 30, the congressional Subcommittee on Energy and the Environment reported the USCG on-scene commander (OSC) had approved 74 exemption requests to spray dispersants between May 28 and July 14. Under the National Contingency Plan Subpart J, the authorization of use §300.910 (d) gives the OSC the final authority on dispersant use: "The OSC may authorize the use of any dispersant... without obtaining the concurrence of he EPA representative... when, in the judgment of the OSC, the use of the product is necessary to prevent or substantially reduce a hazard to human life." 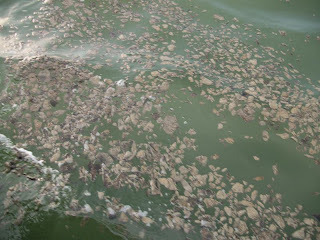 Given this history of events and the NCP regulation, we would like to know what federal entity actually has the final authority to: order BP to stop spraying of dispersant; declare that spraying of dispersant after issuance of a cease and desist order is illegal; and prosecute BP for using product to sink oil. July 30-31: Lt. Cmdr. of USCG confirms, "Dispersants are only being used over the wellhead in Louisiana." When reached for comment, Lt. Cmdr. Dale Vogelsang, liaison officer with the United State Coast Guard, told The (Destin) Log he had contacted Unified Command and they had "confirmed" that dispersants were not being used in Florida waters. 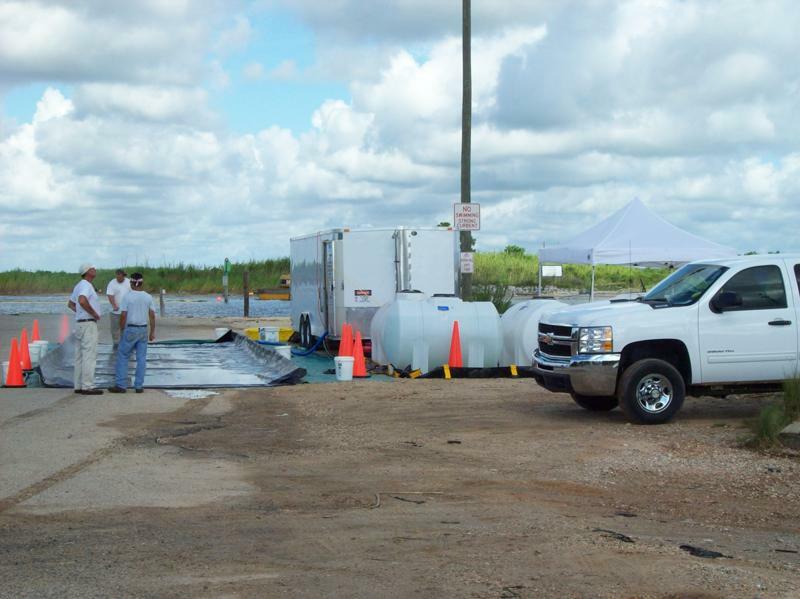 "Dispersants are only being used over the wellhead in Louisiana," Vogelsang said. "We are working with Eglin and Hurlburt to confirm what the flight pattern may be. But right now, it appears to be a normal flight." Vogelsang also said Unified Command confirmed to him that C-130s have never been used to distribute dispersants, as they "typically use smaller aircraft." But according to an article by the 910th Airlift Wing Public Affairs Office, based in Youngstown, OH., C-130H Hercules aircraft started aerial spray operations Saturday, May 1, under the direction of the president of the United States and Secretary of Defense. "The objective of the aerial spray operation is to neutralize the oil spill with oil dispersing agents," the article states. A Lockheed Martin July newsletter states that "Lockheed Martin aircraft, including C-130s and P-3s, have been deployed to the Gulf region by the Air Force, Coast Guard and other government customers to perform a variety of tasks, such as monitoring, mapping and dispersant spraying." Further: "Throughout the effort, Lockheed Martin employees have been recognized for their contributions in a wide range of roles. IS&GS senior network engineer Lawrence Walker, for example, developed a solution to a critical networking issue involving two C-130's that arrived from the Air Force Reserve Command's 910th Airlift Wing at Youngstown, Ohio, as part of the cleanup mission." p. 4, point 8: "Use discreet IFF codes as provided on separate correspondence. This removes need to file DVFR flight plans." Resident and former VOO worker testified that he witnessed a military C-130 "flying from the north to the south, dropping to low levels of elevation then obviously spraying or releasing an unknown substance from the rear of the plane." The unknown substance, Yerkes wrote, "was not smoke, for the residue fell to the water, where smoke would have lingered." Austin Norwood, whose boat is contracted by Florida Fish and Wildlife, also provided a written account of a "strange incident." While Norwood was observing wildlife offshore, he had received a call from his site supervisor at Joe's Bayou. 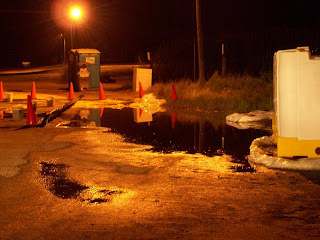 After telling the supervisor that he and his crewmember were not feeling well, the supervisor had the two men come in "to get checked out because a plane had been reported in our area spraying a substance on the water about 10- 20 minutes before." Norwoord complained of a bad headache, nasal congestion while his crewmember said he had a metallic taste in his mouth. After filling out an incident report, both Norwood and his crewmember were directed to go to the hospital. The following day, the two men were once again "asked to go to the hospital for blood tests." 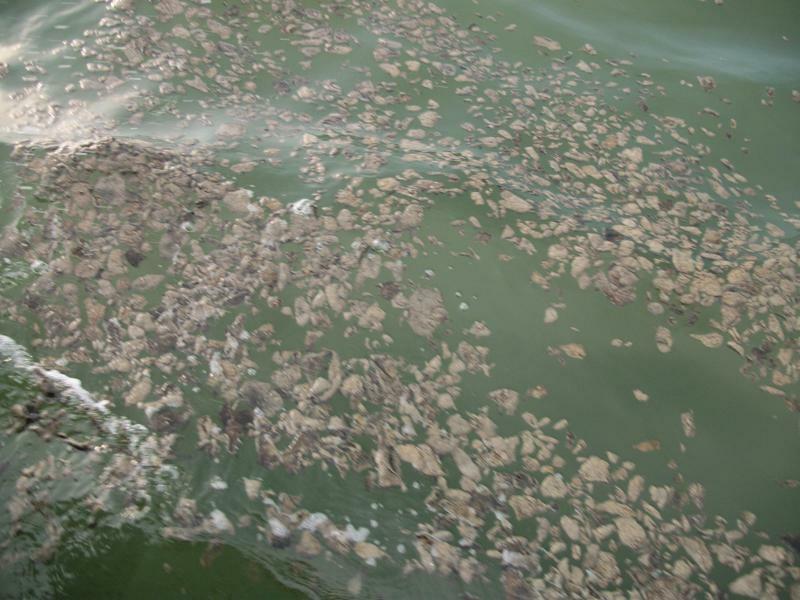 Aug. 2: Joe Yerkes reported sludgy brown oil and foamy white dispersant bubbles in Destin and 40 miles east in St. Joe Bay, just days before a fish kill of croaker, flounder, trout, and baitfish on August 5. Aug. 24: Received report of oil debris from anchor chain while weighing anchor at position 30*15.6 N 87*32.7 W, 0.6 nm east of Perdido Pass sea buoy. Samples taken. 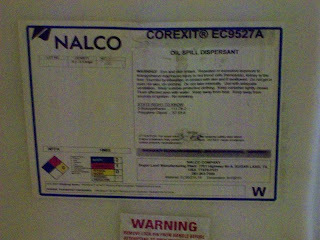 • Naman said found no propylene glycol, the main ingredient of Corexit 9500. • Naman said he went to Dauphin Island, Alabama last night and while there observed many 250-500 gallon barrels which were labeled Corexit 9527. Naman took pictures that he will soon be sharing. • Naman said he saw men applying the Corexit 9527 while he was in Dauphin Island and also in Bayou La Batre, Alabama. • Naman said the Corexit 9527 is being haphazardly sprayed at night and is impacting beach sands in a highly concentrated form. 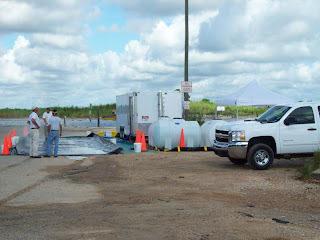 The next day at a town hall meeting in Buras, LA, BP Mobile Incident Commander Keith Seilhan was asked about the use of chemical dispersants. "We are not using dispersants and haven't been for some time," he said. But when asked whether contractors who operate in state waters could be, he said he could not be certain. "We have lots of contractors, but no one should be using them. If they are, we need to know about it and stop it." Miller tied an oil absorbent pad onto a pole and lowered it 8-12 feet down into deceptively clear ocean water. When he pulled it up, the pad was soaked in oil, much to the startled amazement of his guests, including Dr. Timothy Davis with the Department of Health and Human Services National Disaster Medical System. Repeated samples produced the same result. Three weeks earlier, there had been a massive fish kill along the same shoreline from Gulfport to Pass Christian. Aug. 23: The methods for sampling subsurface oil used by Mr. Miller are also being used by Incident Command for the Deepwater Horizon as evidenced in a declassified document (p. 3). Aug. 23: Dispersant container found in Bayou Caddy Hancock County marsh. White foam indicative of dispersant use in marsh. Samples taken and being analyzed. 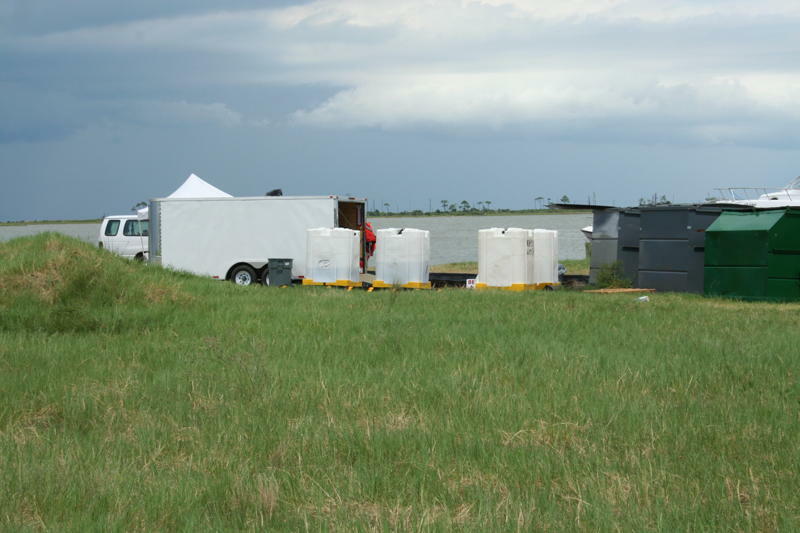 July 31: Documentation of oil in Barataria Bay. Summary: Based on these documents, and more, we believe that dispersant spraying in inland and near shore waters across the Gulf of Mexico from Louisiana to the western Florida panhandle is occurring now and has continued unabated (before) and since July 19, the date that the seafood safety panel proclaimed was the last day dispersants were sprayed. Based on these documents, and more, we believe that the dispersant spraying in inland and near shore waters is being conducted for the sole purpose of sinking the visible oil, an activity that is supposedly illegal. According to the University of South Florida, dispersed oil micro-droplets have been documented throughout the Gulf water column and are likely to affect the entire ecosystem. The inability of the federal and state agents who attended the Dockside Chat in Jean Lafitte, LA, on Aug. 25 to find recent subsurface oil and ocean bottom oil or dispersant spraying activity in inland or near shore waters gives us zero confidence in these same agencies' declaration that they can find no oil or dispersant in Gulf seafood product. You've probably heard that BP has capped the oil well and the almost all the oil has been cleaned up, right? A tidal wave of oil is, supposedly, about to hit shore: "A 200-foot-by-2-mile swath of oil is going to make landfall on Grand Isle in the next couple of days"
Admiral Allen announced today that BP's fishing job being undertaken on their Mississippi Canyon Block 252 well has been called off due to total failure. You'll recall that I disagreed with the procedure when it was announced on the 21st, believing it was unwise and risky. After now attempting to fish out the drill pipe (actually 3 pieces) for several days, they have called off the job after completely failing at achieving their goal. Previously, Adm. Allen had said that they wanted to get all the drill pipe out before pulling the BOP (which I also think is unwise), and replacing it with the BOP from the DDII before completing the relief well. They're going to pull the damn BOP anyway. That's right, they're going to pull the BOP anyway. What's amazing is that they're pulling it with an estimated 3,000 feet of drill pipe hanging in a set of rams, as well as two other smaller pieces in the stack and God knows what else. Admiral Allen said they're setting an overpull limit of 80,000 pounds over stack weight to pull it free, worried that more would dislodge the casing hanger and packoff that are supposedly in the casing hanger. They couldn't get the camera in that far down, but they still continue to assume that all that is somehow still in place after the well blowing out and flowing for 87 days, probably right through where they say the packoff is set. Not likely. Allen says they're going to actually try to pull the drill pipe, still hung in the rams and then, while suspending the BOP above the casinghead, cut the drill pipe with ROVs and drop it back in the well. Probability of success of getting that done? Almost zero. I smell politics all over it. The only plausible explanation is they were in a rush to hang the 'Mission Accomplished' banner. I have repeatedly pointed out that it is possible that the IMF's special drawing rights (SDRs) will become the world's reserve currency. Keynes proposed that the Bancor was to be fixed in terms of 30 commodities, of which one would be gold. The arguments for currency fixed on a basket of commodities was that it would stabilize the average prices of commodities, and with them the international medium of exchange and a store of value. FT Alphaville missed this IMF paper when it first came out in April, 2010. Authored by Reza Moghadam, director of the IMF’s strategy, policy and review department, it discusses how the IMF sees the International Monetary System evolving after the financial crisis. In the eyes of the IMF at least, the best way to ensure the stability of the international monetary system (post crisis) is actually by launching a global currency. And that, the IMF says, is largely because sovereigns — as they stand — cannot be trusted to redistribute surplus reserves, or battle their deficits, themselves. The ongoing buildup of such imbalances, meanwhile, only makes the system increasingly vulnerable to shocks. It’s also a process that’s ultimately unsustainable for all, says the IMF. Reserve accumulation has accelerated dramatically in the past decade, particularly since the 2003-4. At the end of 2009, reserves had risen to 13 percent of global GDP, doubling from their 2000 level, and over 50 percent of total imports of goods and services. Emerging market holdings rose to 32 percent of their GDP (26 percent excluding China). Twenty-seven of the top 40 reserve holders, accounting for over 90 percent of total reserve holdings, recorded doubledigit average growth in reserves over 1999-2008. Of course, in the first instance, the solution probably lies in closer collaboration between sovereigns, most likely via the more active use of such things as special drawing rights, says the IMF. But in the end, a global currency makes the most sense, the paper concludes — especially since the SDR is currently just an accounting tool that draws on the freely usable currencies of member states , not an actual currency itself. 48. From SDR to bancor. A limitation of the SDR as discussed previously is that it is not a currency. Both the SDR and SDR-denominated instruments need to be converted eventually to a national currency for most payments or interventions in foreign exchange markets, which adds to cumbersome use in transactions. And though an SDR-based system would move away from a dominant national currency, the SDR’s value remains heavily linked to the conditions and performance of the major component countries. A more ambitious reform option would be to build on the previous ideas and develop, over time, a global currency. Called, for example, bancor in honor of Keynes, such a currency could be used as a medium of exchange—an “outside money” in contrast to the SDR which remains an “inside money”. But before you get ready to burn your fiat currency, it’s not actually a turnaround the IMF sees being executed any time soon. It is understood that some of the ideas discussed are unlikely to materialize in the foreseeable future absent a dramatic shift in appetite for international cooperation. (Here is the original web page, without highlighting.). A search of the U.S. Postal Office website shows that - as of April 2008 - the relevant web page did not have any reference to SDRs. The most recent revisions to this web page were made on July 30, 2010. However, I cannot tell whether the references to SDRs were added in the most recent July revision, or in a previous edit. I am not implying that this is nefarious. I'm not entirely sure what this means, but - as far as I can tell - no other currencies other than SDRs and the U.S. dollar are mentioned in this section of the Postal Service website. At the least, it is interesting. The Swedish postal service is also purportedly giving SDR conversions. Whether or not SDRs (or Bancors) are coming soon, one thing is for certain. The dollar is losing its luster as world reserve currency. See this, this, this and this. Update: Further digging shows that some postal services have adopted SDRs as part of the international multilateral agreements of the Universal Postal Union, an international organization of postal services. See this website from the Czech Republic, for example, from October 2009. Posten's responsbility for lost or damaged International Parcel Post is limited to SDR 40 per mailing + SDR 4.50 per kilogram of the gross product weight, in accordance with the acts of the Universal Postal Union (UPU). What Does the New Wikileaks Release Mean? Wikileaks released a CIA report today discussing whether foreign nations will view the U.S. as an "exporter of terrorism". By any measure the US has long used terrorism. In ‘78-79 the Senate was trying to pass a law against international terrorism - in every version they produced, the lawyers said the US would be in violation. 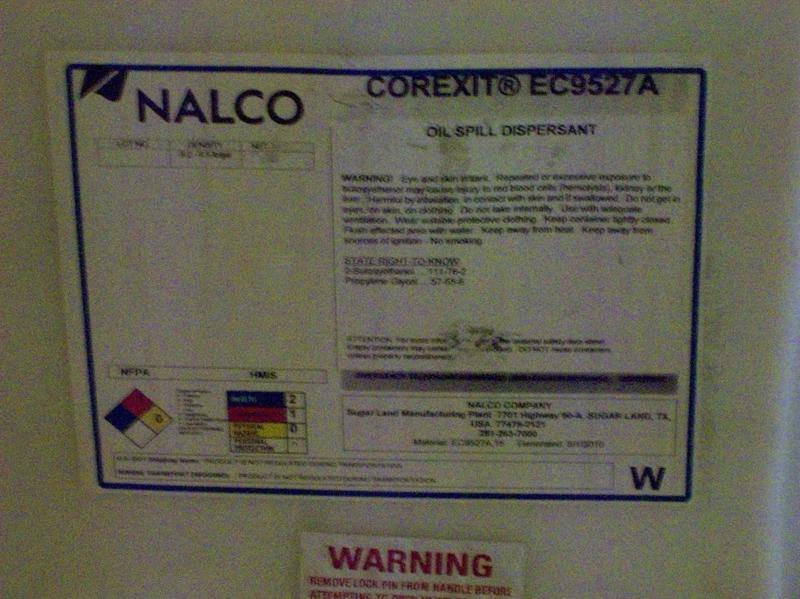 Naman further said that BP contractors are applying Corexit 9527 at Dauphin Island and at Bayou La Batre, Alabama. Are We Humans Or Ostriches? Has the Oil Well Really Been Capped?